This week’s Monday Music Quote comes from the German friar, priest, professor of theology, and seminal figure in the Protestant Reformation, Martin Luther. I believe we’ve seen one very common theme in these quotes, that of the soul. Here once again Luther says that music “…can calm the agitations of the soul…” I would think that almost everyone on the planet has felt this power at some point in their lives. I also like the second clause of this quote. Luther refers to music as a gift from God, and “one of the most magnificent and delightful” at that! To me, this could be taken a couple of ways. For those who are religious, it is God that gives each person our respective talents, and thus, it is His will that musicians have the ability to create beautiful music. However, I also like to take this as a nod to the beauty of music in nature. Once again, for those who are religious, God created everything we see, hear, taste, smell and feel around us. So, in theory, it is God’s gift of music to the world at work when we hear birds singing, fish splashing in the water, leaves rustling in the wind, and all other sounds of nature that bring happiness and warm feelings to our ears. 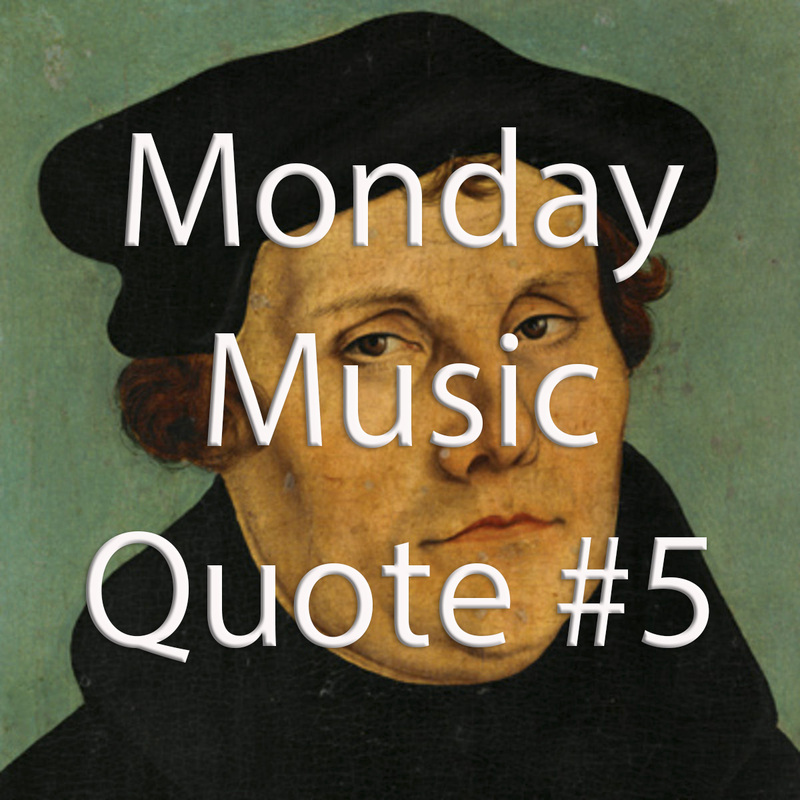 This entry was posted in Monday Music Quotes and tagged Martin Luther, Monday, Music, Music Quote, Nature, Quote, Sound.